G.R. No. L-29670 October 9, 1987 - CENTRAL AZUCARERA DON PEDRO v. WORKMEN’S COMPENSATION COMMISSION, ET AL. G.R. No. L-29898 October 9, 1987 - IN RE: VICENTA PO v. RAYMUNDA CAMPANA, ET AL. G.R. No. L-35469 October 9, 1987 - ENCARNACION BANOGON, ET AL. v. MELCHOR ZERNA, ET AL. G.R. No. L-63855 October 9, 1987 - CU BIE, ET AL. v. INTERMEDIATE APPELLATE COURT, ET AL. G.R. No. 73039 October 9, 1987 - PERFECTA CAVILI, ET AL. v. TEODORO N. FLORENDO, ET AL. G.R. No. L-35721 October 12, 1987 - WELDON CONSTRUCTION CORPORATION v. COURT OF APPEALS, ET AL. G.R. No. L-37631 October 12, 1987 - SANTIAGO NICOLAS, ET AL. v. COURT OF APPEALS, ET AL. G.R. No. L-46978 October 12, 1987 - ERNESTO ROBLES v. DELFIN FL. BATACAN, ET AL. G.R. No. L-52756 October 12, 1987 - MANILA MAHOGANY MANUFACTURING CORP. v. COURT OF APPEALS, ET AL. G.R. No. L-65505 October 12, 1987 - GABRIEL ABAD, ET AL. v. REGIONAL TRIAL COURT OF MANILA, BR. LII, ET AL. G.R. No. 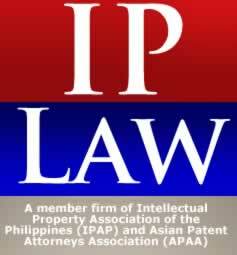 L-67835 October 12, 1987 - MALAYAN INSURANCE CO., INC. v. GREGORIA CRUZ ARNALDO, ET AL. G.R. No. 70826 October 12, 1987 - UNIVERSITY OF THE PHILIPPINES v. DOMINGO P. GABRIEL, ET AL. G.R. No. 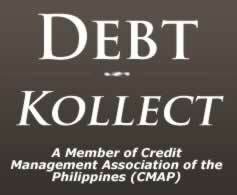 75905 October 12, 1987 - REMIGIO O. RAMOS, SR. v. GATCHALIAN REALTY, INC., ET AL. G.R. No. L-76959 October 12, 1987 - ABBOTT LABORATORIES (PHILIPPINES), INC., ET AL. v. NATIONAL LABOR RELATIONS COMMISSION, ET AL. G.R. No. L-61371 October 21, 1987 - ARTHUR BARANDA, ET AL. v. NORBERTO PADIOS, ET AL. G.R. No. L-33773 October 22, 1987 - GODOFREDO L. LORENZANA, ET AL. v. CRISPINA L. MACAGBA, ET AL. G.R. No. 73882 October 22, 1987 - ROSA CANCIO v. COURT OF TAX APPEALS, ET AL. G.R. No. L-34767 October 23, 1987 - OPERATORS INCORPORATED v. AMERICAN BISCUIT CO., INC.
G.R. No. L-35316 October 26, 1987 - REPUBLIC OF THE PHIL. v. PEDRO JL. BAUTISTA, ET AL. G.R. No. L-38622 October 26, 1987 - VALENTIN BERMUDO v. COURT OF APPEALS, ET AL. G.R. No. L-45114 October 26, 1987 - APOLONIO SUMBINGCO v. COURT OF APPEALS, ET AL. G.R. No. L-45159 October 26, 1987 - JOSE HERMO v. COURT OF APPEALS, ET AL. G.R. No. 70810 October 26, 1987 - SERAFIA MACUA, ET AL. v. INTERMEDIATE APPELLATE COURT, ET AL. G.R. No. 70959 October 26, 1987 - ELIGIO LEYVA v. INTERMEDIATE APPELLATE COURT, ET AL. G.R. No. 76386 October 26, 1987 - CELSO AMARANTE, ET AL. v. COURT OF APPEALS, ET AL. G.R. No. L-42003 October 27, 1987 - FULGENCIO OCUMIN, ET AL. v. COURT OF APPEALS, ET AL. G.R. No. L-50492 October 27, 1987 - VINCENT RIKER v. BLAS F. OPLE, ET AL. G.R. No. L-67929 October 27, 1987 - LEDA DINO GRAGEDA, ET AL. v. INTERMEDIATE APPELLATE COURT, ET AL. G.R. No. 72706 October 27, 1987 - CONSTANTINO C. ACAIN v. INTERMEDIATE APPELLATE COURT, ET AL. G.R. No. 73461 October 27, 1987 - PEOPLE OF THE PHIL. v. AMADOR MASANGKAY, ET AL. G.R. No. 75510 October 27, 1987 - RUFINA SORIANO v. NATIONAL LABOR RELATIONS COMMISSION, ET AL. G.R. No. 76053 October 27, 1987 - FERNANDO JUAN v. CELSO MUSÑGI, ET AL. G.R. Nos. L-30998, 31021, 31022 October 28, 1987 - AMERICAN MACHINERY & PARTS MANUFACTURING, INC., ET AL. v. ISMAEL MATHAY, SR., ET AL. G.R. Nos. L-53813 to 53818 October 28, 1987 - JOSE C. BAGASAO v. SANDIGANBAYAN, ET AL. G.R. No. L-57889 October 28, 1987 - FLAVIANO NEMARIA v. EMPLOYEES’ COMPENSATION COMMISSION, ET AL. G.R. No. L-59690 October 28, 1987 - LUIS HAGOSOJOS v. COURT OF APPEALS, ET AL. G.R. No. L-61688 October 28, 1987 - VLASONS ENTERPRISES CORPORATION v. COURT OF APPEALS, ET AL. G.R. No. L-69628 October 28, 1987 - PEDRO B. NARAG v. NATIONAL LABOR RELATIONS COMMISSION, ET AL. G.R. No. 75631 October 28, 1987 - OLYMPIA BUSINESS MACHINES CO., ET AL. v. E. RAZON, INC., ET AL. G.R. No. L-45515 October 29, 1987 - ASBESTOS INTEGRATED MANUFACTURING, INC. v. ELVIRO L. PERALTA, ET AL. G.R. Nos. L-49291-92 October 29, 1987 - SOCORRO M. ZABALLERO, ET AL. v. NATIONAL HOUSING AUTHORITY, ET AL. G.R. No. L-67582 October 29, 1987 - ANTONIO VILLANUEVA, ET AL. v. INTERMEDIATE APPELLATE COURT, ET AL. G.R. No. L-67742 October 29, 1987 - MELITON GALLARDO, ET AL. v. INTERMEDIATE APPELLATE COURT, ET AL. G.R. No. L-68477 October 29, 1987 - ANICETO BALILA, ET AL. v. INTERMEDIATE APPELLATE COURT, ET AL. G.R. No. 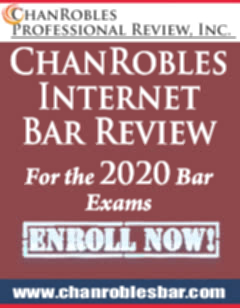 70191 October 29, 1987 - RODOLFO L. CORONEL v. INTERMEDIATE APPELLATE COURT, ET AL. G.R. No. 74262 October 29, 1987 - GENERAL RUBBER AND FOOTWEAR CORPORATION v. BUREAU OF LABOR RELATIONS, ET AL. G.R. No. 75355 October 29, 1987 - PEOPLE OF THE PHIL. v. VENANCIO S. ANDRES, ET AL. G.R. Nos. 75925-26 October 29, 1987 - G. ARANETA UNIVERSITY FOUNDATION, ET AL. v. NATIONAL LABOR RELATIONS COMMISSION, ET AL. G.R. Nos. L-30263-5 October 30, 1987 - REPUBLIC OF THE PHIL., ET AL. v. ANDRES REYES, ET AL. G.R. No. L-37673 October 30, 1987 - PEOPLE OF THE PHIL. v. DOMINADOR G. GAVARRA, ET AL. G.R. No. L-56013 October 30, 1987 - LIWANAG AGUIRRE v. PEOPLE OF THE PHIL., ET AL. G.R. No. L-60078 October 30, 1987 - REPUBLIC OF THE PHIL. v. COURT OF APPEALS, ET AL. G.R. No. 79003 October 30, 1987 - PHILIPPINE PORTS AUTHORITY v. MARCELO R. OBIEN, ET AL.